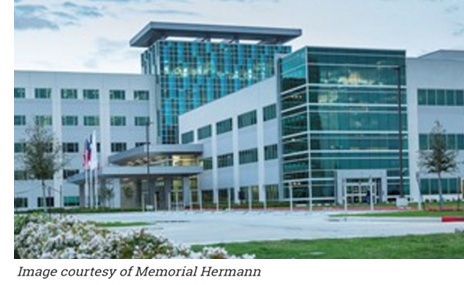 ​​​ CYPRESS – Memorial Hermann Cypress Hospital, at 27800 Northwest Fwy., is now open. The facility was completed in 24 months and is one of the country’s largest tilt-wall hospitals. Future growth plans include a heliport and two additional patient bed towers. The 32-acre campus includes an 81-bed hospital with operating rooms, an intensive care unit and neonatal intensive care unit. Memorial Hermann Cypress Hospital comprises 20,000 cubic yards of concrete, more than 2,500 tons of steel framing and 211 miles of data cables.